HALL OF FAME BANQUET-LAST CHANCE FOR TICKETS! PRICES INCREASE MIDNIGHT, APRIL 7TH! Don’t delay in getting your tickets for this prestigious event! This year’s Hall of Fame Banquet is on Monday, April 15th at the Canad Inn on Pembina Hwy. Exhibitors will be available for your viewing pleasure at 5:30pm, with a buffet dinner at 6:30pm, followed by the induction ceremony. This year’s inductees are Grant Towns and Terry Fox. We are also awarding the 2018 MRA Race Director of the Year award to Glenn Reimer of the Headingley Fire Dept Run for Wishes, the 2018 MRA Female Road Runner of the Year to Lindsey Green, and the 2018 MRA Male Road Runner of the Year to Darcey Harder. You don’t want to miss out on congratulating these very deserving winners! Regular pricing is in effect until midnight on Sunday, April 7th. You have until midnight on Wednesday, April 10th to purchase your tickets. Tickets are available online here or by contacting the MRA office. The Marathon of Hope Celebration on April 14, 8:30am will take place at every Running Room store in the country. It’s a free event, and we encourage participants to show support by donating to www.terryfox.org . The run itself is much like run club, various distances, but will have a shorter route available as well. 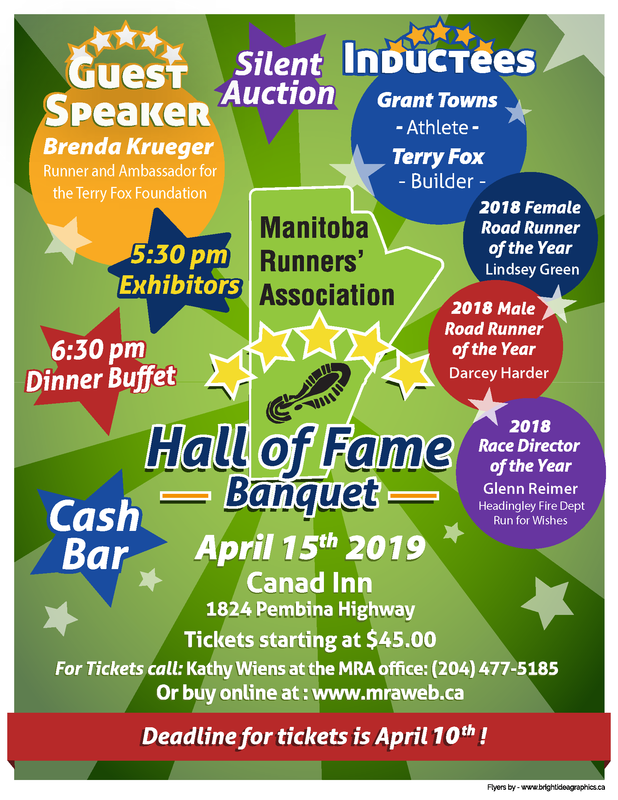 The Manitoba Runners’ Association is inducting Terry Fox into the MRA Hall of Fame at its annual Hall of Fame Banquet on Monday, April 15, 2019. More information and tickets are available online here or by calling the MRA office at 204-477-5185. 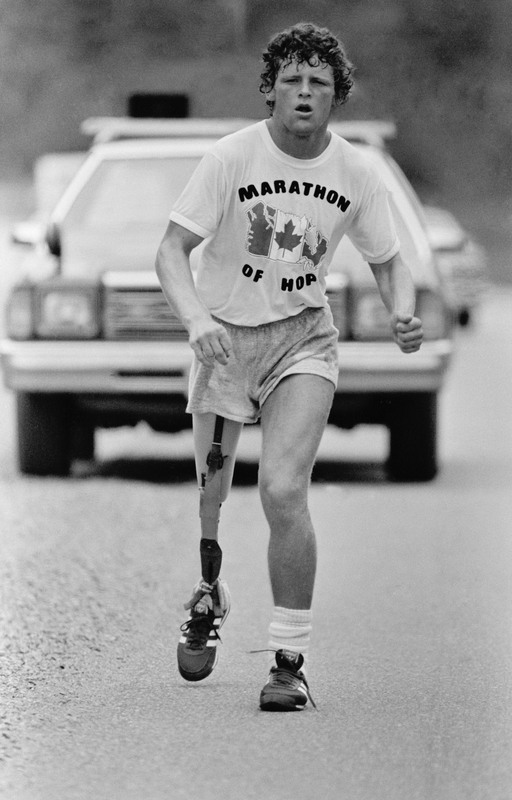 Terry’s brother Fred will be accepting the award on his behalf and Brenda Krueger, runner & ambassador for the Terry Fox Foundation, is the guest speaker. This is your last chance to get tickets for the MRA 5K & Flapjacks Fundraiser! Tickets will only be available for purchase onour website here until midnight on Wednesday, March 20th and TICKETS WILL NOT BE AVAILABLE AT THE DOOR! Don’t miss out on this chance to support the MRA in its efforts to raise money for the purchase of a generator for our sanctioned events. Tickets are only $15 with $10 going directly to the MRA. Hope to see you at Applebee’s Grant Park on Sunday, March 24th 8:00-10:00am for a delicious pancake breakfast! The Manitoba Runners’ Association has recently entered into a partnership with Canada Run Club in the effort to get more Manitobans running. To celebrate this partnership, the MRA is offering its members a free year of membership with Canada Run Club. This is an exciting opportunity for runners in Manitoba to join a national community of runners-the first of its kind! The MRA is celebrating this partnership with an exclusive opportunity for its members: a FREE 2019 membership to Canada Run Club. Canada Run Club offers great benefits to its members: lots of information on running, discounts, contests, connections across the country coaching and more! March & April contest & prizes include Apple watches, Canada Run Club merchandise and entries into running events. To qualify simply become a Canada Run Club member. Contact the MRA office for more information. 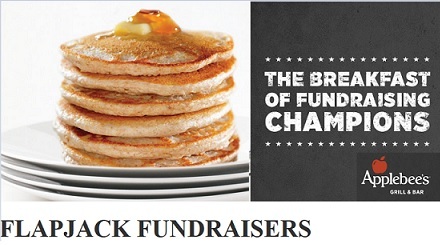 The MRA is holding a fundraising breakfast on March 24th 8:00-10:00am at Applebee’s at the Grant Park Shopping Centre. Tickets are $15 with $10 from each ticket going toward the purchase of a generator for our sanctioned events. 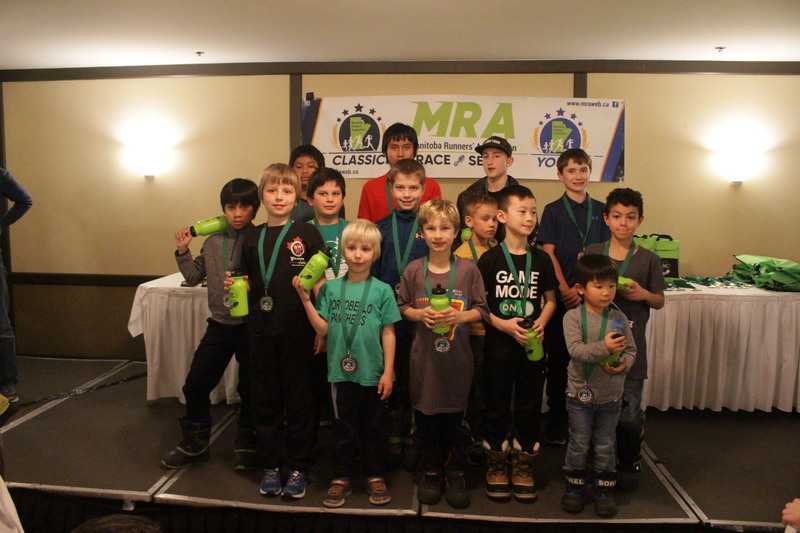 Tickets are available on the MRA website or purchase in person at Stride Ahead in the Grant Park Shopping Centre on Friday, February 8th 5:30-8:30pm. Ken is offering a discount of 30% on any in-stock, regular priced items to anyone that purchases a ticket! Please note that tickets will NOT be available at the door. 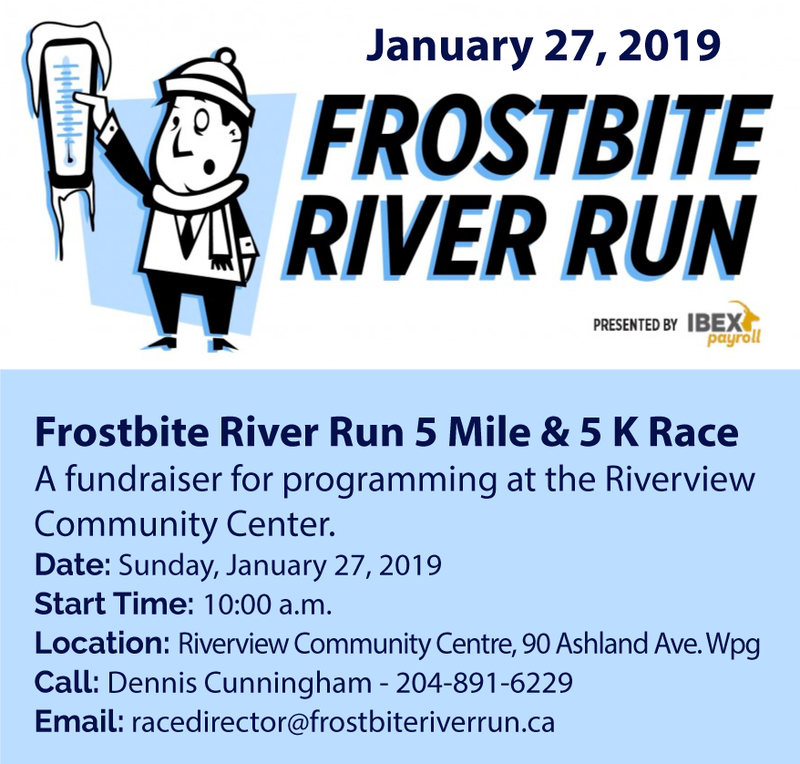 Welcome to 2019 and a new year for road running, and like last year this years events start with the very popular Frostbite River Run 5 Mile & 5 K Race help on Sunday January 27 2019 at the Riverview Community Center. ­“Ho hum, there’s an elephant just outside our tent!” Match that for an experience on a running trip! Although I had written articles on Wall of China, Easter Island, and Antarctica, through 2013, I had promised a 7 continents article when the ½ Marathons on all 7 were done All were with my son Jamie in the following order and dates. There is absolutely no way that I could pick a favorite when we always had so much fun. Both my son and I share a crazy sense of humour that came through every run. For example, in China, beyond the goat trail descent at one point, we found ourselves following a local with a long stick on her shoulders balancing two pails of water while hiking straight up a hill. Fortunately, the path was way too narrow to get by her since we could not have mustered the energy nor speed to do so. Humbling! I do my best not to make these just a travel log since there were actual half marathons to be run while never was speed an issue nor incentive! 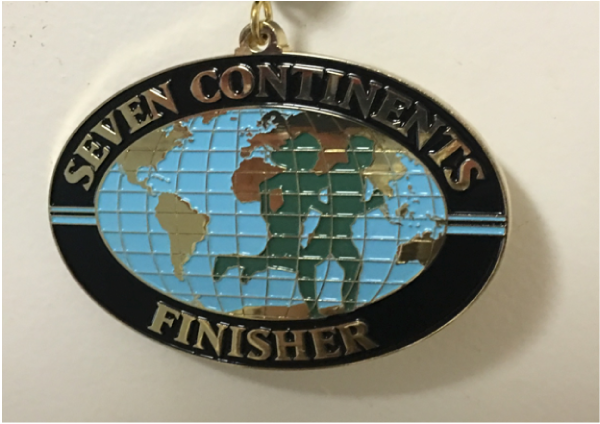 Apparently Jamie heard about the seven continents club around the China run but I really only clued in when a few runners were awarded the seven continents medal at a special dinner for the Marathon Tours group on Easter Island. They were so keen on Antarctica and I could feel Jamie’s excitement quickly building. So after that we bit the bullet and paid the $$$ to join the 7 Continents Club to qualify to go to Antarctica. With that we were on the 3 year wait list. That would have been 2016 but a “fender bender” on the original ship for the 2013 sailing caused a 3 week delay for which several people could not accommodate. After much deliberation in the 3 days we had to decide, I sent a 5 a.m. email “No worries, we’ll get there”, to which Jamie replied to “Now would be a good time.” I danced the rest of the day. Every trip and run was unique: from scenery, like minds (…We do this crazy running thing! ), plain fun, to absolutely every terrain and challenge of the runs / races. We felt this was the perfect “Oceana” choice for over 2 weeks and 3 weekends giving us the ability to cover both islands. While we stayed in Auckland, we had three days to sight see the area and relax before the run. Wahiki Island was reached by ferry for a full day excursion of hiking, sightseeing and eating! Everything grows in New Zealand from grapes to semi tropical fruit! I think I ate every form of lamb possible! I noticed that locals spend most of their time in the great outdoors. On a somewhat cool evening, the outdoor patio/ eating area would be packed while it was easy to get seating inside. If you follow World Cup, you would know the explanation for so few spectators at the ½ marathon on Sunday, November 1: The All Black world championship was on at the same time in Great Britain. Our run highlight was crossing the immense harbour bridge that is only open to pedestrians once a year, for this run qualifying time which was only until mid morning. I did lose Jamie on the bridge in his quest to keep up with a blond bombshell but he couldn’t keep up and we carried on together. Instead of worrying about race finish time once we passed the cut off point for time to be able to go on the bridge we enjoyed the incredible view and took a few photo ops. Then we were free to explore the rest of the islands….My checklist included the glow worm caves, Rotorua where I chalked up the 4th and last set of hot springs / geysers in the world. Then on to Napier where we could have been the first in the world to see the sun rise had it not been raining. Finally, lively Wellington, the nation capital and last stop on the north island. Highlights on the south island were Christchurch which had been devastated by earthquakes a few years prior but is carefully rebuilding and showing their amazing sense of humour along with their industriousness. Then we drove (Always on the wrong side of the road – argh-) to Mount Cook for more beautiful scenery and of course I took pics of my son in front of a statue of his namesake, the Captain. Finally, we spent a few days in lively Queenstown, the adventure capital in another fabulously scenic area. Many of the latter were film sites for Lord of the Rings…How embarrassing to be the only passenger on a 4 hour van trip who had not seen the movies. Probably a trip from Queenstown to Milford Sound on a small plane, on our last full day, was my favourite excursion of the trip! By late 2015, Jamie was ready to put on the pressure to have all 7 continents on one passport with the deadline of August 2016 for Africa Because a tornado in the Barrie, Ontario area caused a 24 hour delay for our Reykjavik departure in 2009 we had to “dumb down” the ½ to a later starting 10 k. I love Iceland so much that when I found a ½ in Reykjavik for April 2016 we entered immediately. Arriving 2 days ahead of the run allowed time for plenty of fun, food and sightseeing. Nothing like travelling with 3 young lawyers…. We were picked up on race morning at our hotel by the race director! Who knew there was such a lovely forested area adjacent to a small domestic airport? With the out and back course going from a park, through a forest, near waterfalls and then running alongside the ocean, it was way more breathtaking than my running! How can there be so many hills on the edge of a relatively flat little city? This trip was on our own, not Marathon tours and still there were people from all over the world. Sunday was incredible. We rented a car to go to a distant relative’s (Einer) horse farm, about an hour and a half drive from Reykjavik, driving through a 10 k tunnel under a fiord, then through more beautiful scenery. The farm had Mountains in the background, some ocean front property, its own source of underground hot water for all the geothermal benefits, and at least 100 beautiful horses in various locations on the property. Einer took an early retirement from a corporate job in the USA about a dozen years ago to bring his ailing wife back to Iceland. He then bought a horse….. The Amazing Masaii Run is the ‘baby’ of our Marathon Tours guide, who looked after us on Easter Island and then Auckland. Having been booked for Madagascar, previously, only to have it cancelled, our ears were open to the charm of Kenya. Again we took close to three weeks with great sightseeing before and after the race. With Nairobi as the jumping off point we travelled the horrendous dusty roads by jeeps and mini buses north to the equator and into the foothills of Mount Kenya. Three of the “camps” or country clubs, had tented, private, sleeping quarters with all the amenities, including room service for morning coffee. Not roughing it at all! Safari, being a term for any short or long excursion, meant that we went on safari as often as three times a day! So we spent most of the middle week in the Rift Valley, from where came many world class runners. They look as if they’re on stilts! Our lodging around race day was essentially on a mountain top and gorgeous. Each pair had their own “house” while sharing library, staff and breakfast area with 2 other houses. The main area for other meals and evening gathering was down the mountain slightly, near the massage cottage, etc. The recognition for Jamie and I completing the 7 continents was at the post run dinner in the main room carved out of the mountain. Neat! Did I mention the horrible roads? We had been warned we would never complain about Canadian pot holes again. I managed to fall a couple of days before the run and then during the run on a serious downhill (the only downhill!) Despite being so close to the equator, heat was way less of a problem than altitude. In fact, at mile high, evenings were seriously cooled, as we had been warned. Our run time was never a concern but about ¾ of the way of our ½ marathon loop, we heard a rustle that turned out to be the lead runner of the full. Yes, his second loop. I had to laugh as he didn’t slow down a nanosecond for another steep hill in front of us but the accompanying motor cycle barely made the ascent. Many of the finishers looked even more as if they had been mugged than I did, from falling on the rocky terrain. But it was all smiles for Jamie and I, posing / holding 7 fingers across the finish line. Then we flew in a tiny plane across the beautiful lower Rift Valley, to see the massive irrigation and fertile crops. Such a contrast to the abject poverty in the very dry higher areas where the children go on foot 20 k one way to school, if it is available. Finally, we took a luxury break on the south coast of Kenya, on the white sand of the Indian Ocean to end off our time in Africa. My big wish for the small plane trip from Nairobe to Diani Beach was for a view of Mount Kilimanjaro. As everything else, it was spectacular. In conclusion, I refuse to pick a favourite. To do all this with my son is absolutely the best part. 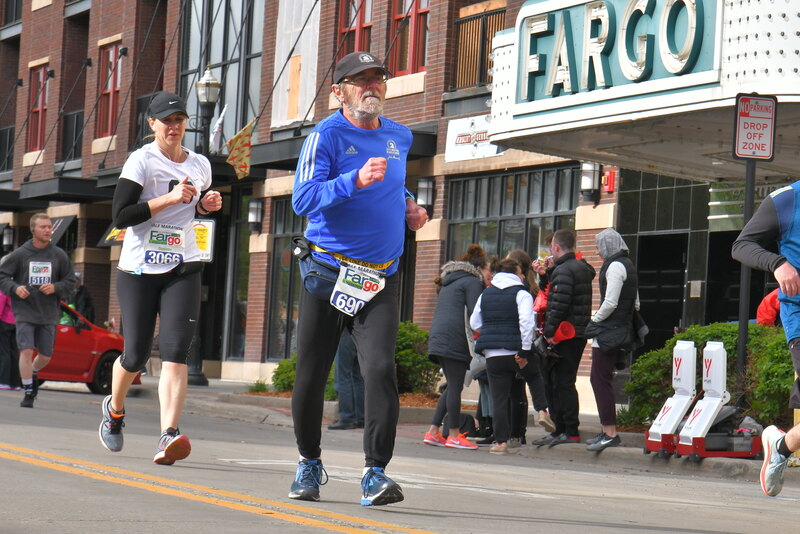 In 2018 I completed my 100th half marathon in Treherne, MB on Sept 16th and my 101st in Wolfville, Nova Scotia on Oct 7th. I ran very few half marathons before 2005. The largest local half marathon was the Manitoba Marathon, but I usually ran the full. There were many 20 kms that I never kept track of. The main ones were in Birds Hill Park and Brandon. Half marathons are a way to take fitness to the next level after running shorter distances. They are a real challenge but a manageable distance with less training time than a full marathon. There is a quicker recovery and less chance for injury than running a full marathon. There are many reasons to run a half marathon. They can be part of a plan to run a full marathon. There are many available fun half marathons with great courses and bling (shirts and medals). You get to meet many energetic and supportive people. Riding Mountain, Winkler, and Hecla. Some excellent half marathons no longer take place. Do any readers remember them? Birds Hill (Ron Melnichuk), Run for Greyhounds “Portage and Lockport”, Beaches, Diabetic, Niverville, and the Selkirk Red Run. As part of travel, I have run many out of town half marathons: Edmonton Hypothermic, QCM Regina, World Peace Officer Olympics, Kamloops, World Masters, Edmonton, Rose Bowl, Pasadena, Fargo, Melissa 22 km in Banff, Reggae Jamaica, Mardi Gras Masquerade, Las Vegas, Saints and Sinners, Las Vegas, and the Saskatoon River Run (no longer taking place). As I ponder what to write for this post, it crosses my mind to include a few key ideas shared with me from some top level minds in coaching the great sport of running. i will try to connect them so they flow naturally from one to the next and follow a train of thought. Here are some abbreviated ideas. Idea 1. Stay off the roads! Paved roads are hard packed and do not absorb impact well. This means that the force from every single step you take goes elsewhere…namely, you. Ever wonder how the Kenyans and Ethiopians can run so well with relatively few injuries? One reason is that they run on meadows, not roads or paved surfaces. Meadows provide natural cushioning for the body as the impact of the foot strikes gets absorbed by the moss/grass/dirt they run on. If the impact is not absorbed by the soft ground (ie running on a hard surface), the force must go through the body. This leads to aches and pains, tight muscles, and eventually, an injury. 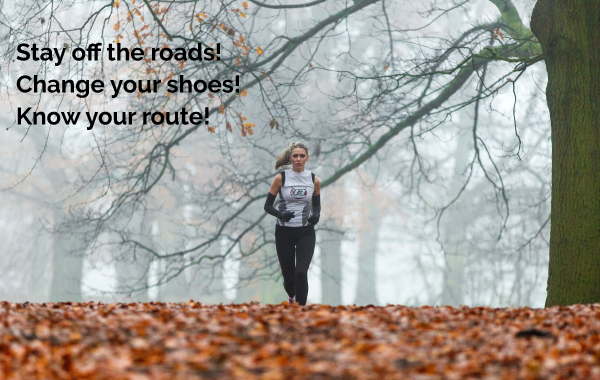 So get on the grass or trail and save running on the road for race day! Idea 2. Change your shoes! Regular wear and tear on your shoes means they need replacing on occasion. Connected to Idea 1 above, if you run on pavement of any kind, the shoes get beaten up faster than they would on softer surfaces. Careful tracking of your mileage in a pair of shoes and knowing the design of the shoe and its expected life, you can make sure to keep your shoes up to date and reduce risk of injury. Idea 3. Have a plan and know your route! Be it the heat of summer, or the cold of winter (especially here in Manitoba), knowing things like where shelter, water, and emergency help are can be important if such need arises. One step further than that, is telling someone your route, and run plan, if you choose to run alone. Or run in a group and make sure you use a buddy system or have small groups to ensure everyone is accounted for. In winter, wear reflective clothing so others can see you. In summer, make sure you hydrate enough and avoid midday runs in the high humidity if possible.